Visit Seoul: The Ice Gallery: Coolest Place in Seoul! The Ice Gallery: Coolest Place in Seoul! Entire rooms made of ice! Located in the center of Seoul, the Ice Gallery is an indoor ice museum displaying various sculptures made of ice! It is a great place to cool down during Seoul's hot and sticky summer because the temperature is set at a chilling below five degrees Celsius. The great part is that it only costs 7,000 won to enter the ice exhibit! Visitors are also given the opportunity to make their own ice sculptures in classes held every hour for about 45 minutes. Class participants are given a block of ice to transform into an ice goblet! When finished, participants are able to drink refreshing beverages from their masterpiece. 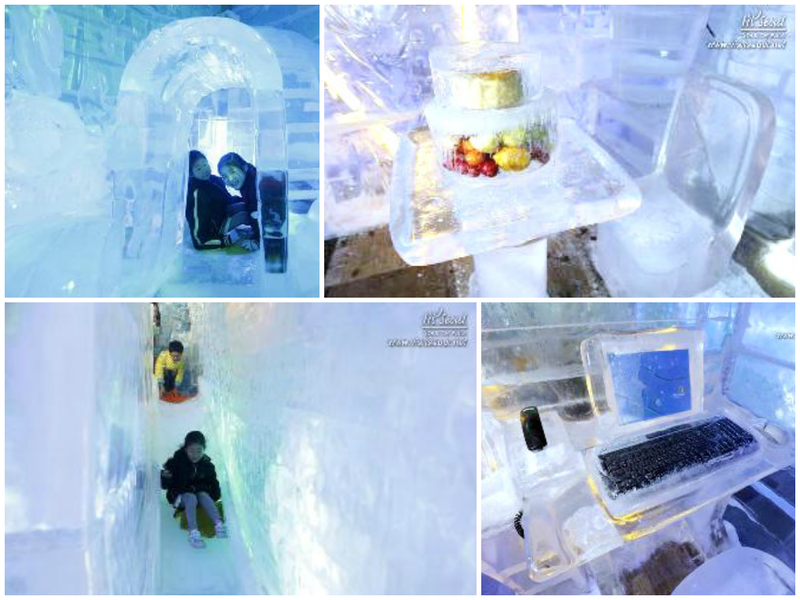 The most popular attraction- the Ice Slide Cake and computer made of ice! The Seoul Ice Gallery has just about everything made of ice! Enjoy the cool atmosphere by stepping into the GIANT freezer in Seoul's Ice Gallery. For more information and directions, click here!